Here is a picture of my new panoramic painting, entitled: High Tide, Ilfracombe Harbour, which will soon be available for sale at Echo Beach Gallery, 4 Broad Street, Ilfracombe. A number of my large marine paintings are on display at The Soden Collection, 80 Wyle Cop, Shrewsbury, Shropshire, England. SY1 1UT. 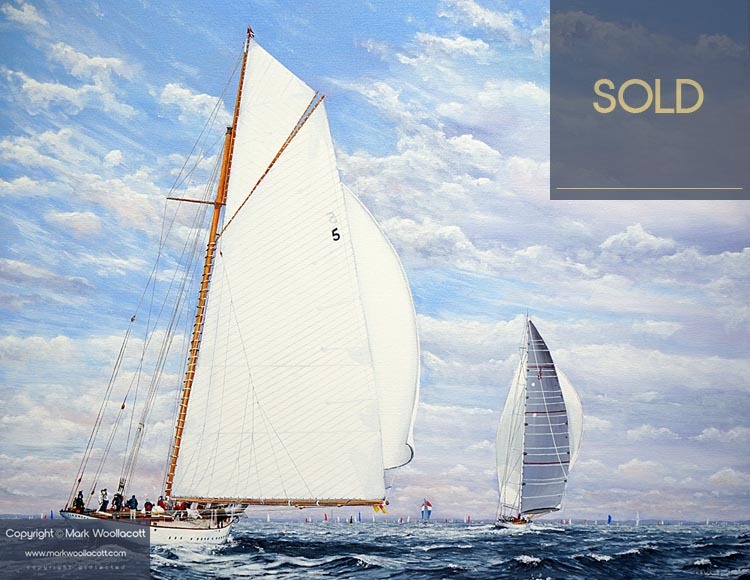 All artworks are for sale and include paintings of classic J Class yacht Lionheart, and paintings of Veolia Environnement Trimaran and yachts racing at Cowes Week. Click for more information. “The way to your own boat picture. 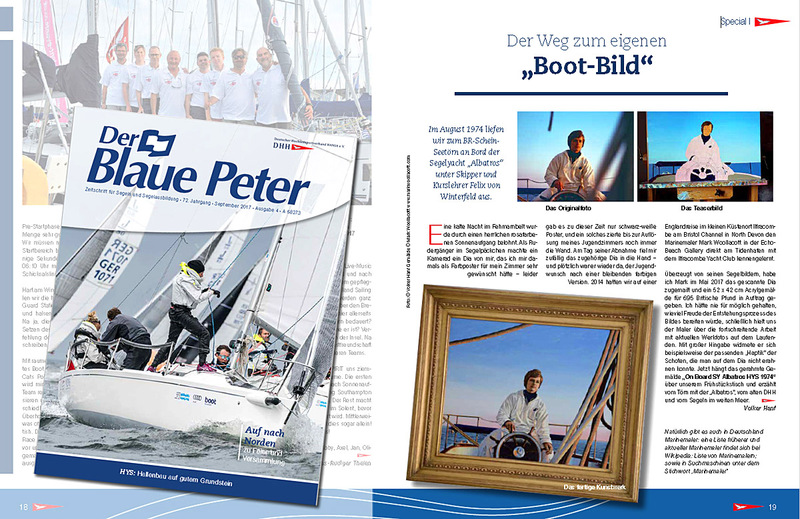 In August 74 we set sails for our sailing trip on board SY Albatros skippered by Henry v. Winterfeld. After a cold night in Fehmarn Belt we were rewarded by a beautiful rose sunrise. Being at the helm, a comrade of mine took a slide which I would have loved to have as a colour poster for my room. Sadly, at that time only black-and-white posters were available. And such a black-and-white poster decorated the wall of my youth (room) until I cleared it out a year ago. On the day when I took the poster off the wall, accidentally, I found the original slide. And there it was again … the wish to have a coloured image of the scene. 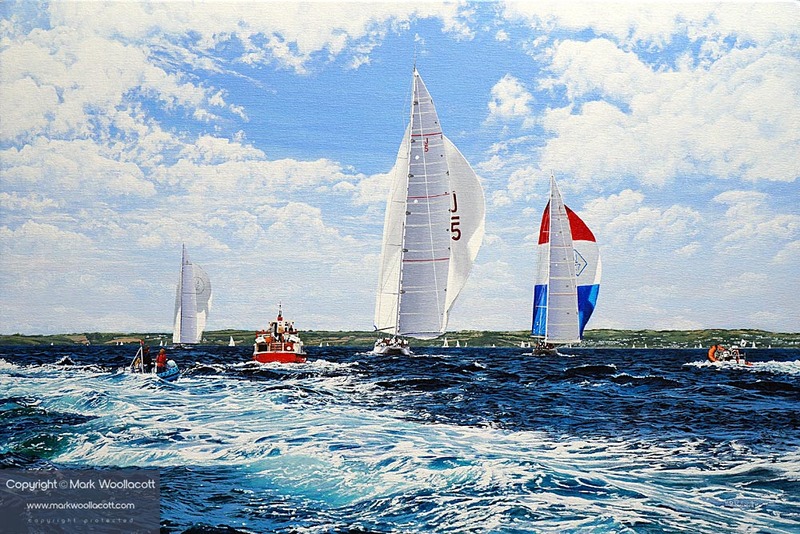 A new painting, entitled J Class Yachts is available for sale. The painting features three of the J Class: Lionheart, Velsheda and Ranger as they raced at Falmouth, in 2015. 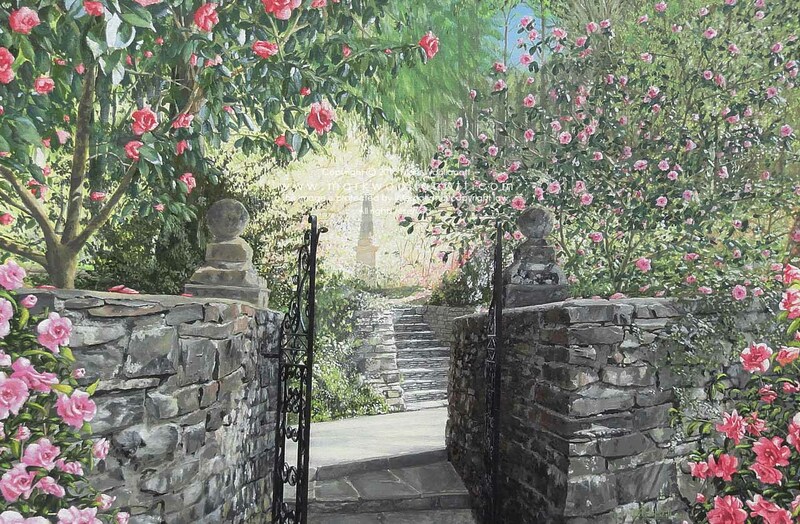 I have donated a large canvas print, reproduced from one of my paintings (featuring the Mediterranean Garden, at RHS Rosemoor), to The North Devon Hospice, as a way of saying thank you to the staff at the hospice for the care, kindness, compassion and professionalism they showed to my Dad whilst he was at the hospice, who sadly passed away recently after a long battle with cancer. The hospice is funded entirely by donations from the public and provides essential care, support and information to adults with cancer and other life-threatening conditions. My Dad's positive attitude, gentle humour, kindness and consideration to others was inspiring and he will be greatly missed by all who knew him. I have donated some of my music equipment to Starchild Charity, which is a Scottish charity which aims to provide help to orphans in Uganda and to make art and music accessible to them. The charity recently opened the Starchild School for Creative Arts. Music CDs Donated to two Wonderful Charities! Today I have donated 450 copies of my CD album Ocean Splendour to Sail 4 Cancer, which is a charity based in Berkshire which aims to provide sailing and other water-based respite opportunities for cancer patients, their families and those who have suffered recent bereavement in the hope that their quality of life may be improved. They also aim to raise significant funds for cancer treatment, care and research through the organisation of high profile sailing events. 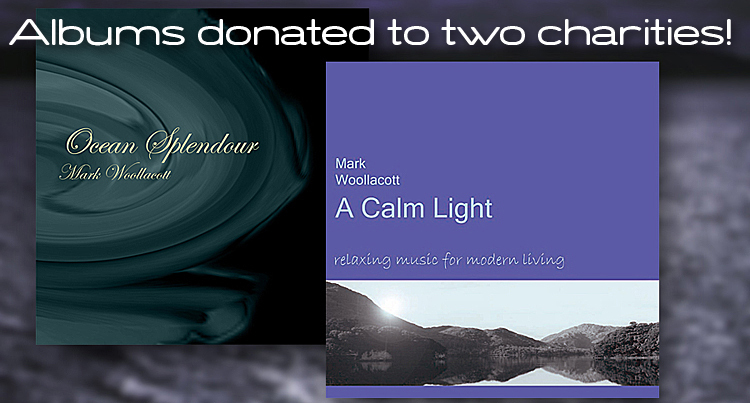 I have also donated over 400 copies of my CD album A Calm Light to The Leanne Baker Trust, who will be collecting the CDs in the new year. The aim of the charity is to be able to guide those that suffer with depression to the support available and increase awareness surrounding the stigma of mental health. My painting Eleonora, Ranger and Velsheda recently sold for £2,200.00 at The Gallery at Ice, Windsor, Berkshire. Prints of this painting are available online from Fine Art America (see my Prints page for more information). Images of three of my North Devon paintings have been featured in a new book written by Robin Whitcomb, author of Wealding The Willow and Home Sweet Home. 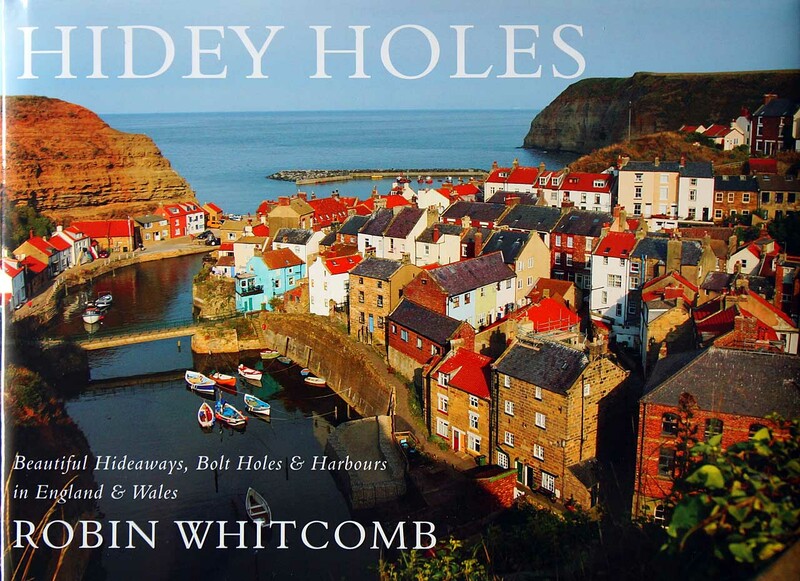 The book's title is Hidey Holes and is published by Troubador Publishing and is available online at Amazon and Waterstones and other retailers. A number of my large marine paintings are on display at The Gallery at Ice, 8 High Street, Windsor, Berkshire. All artworks are for sale and include paintings of classic boat Thalia, J Class yacht J5: Ranger, Hugo Boss Open 60 and a painting of the Extreme Sailing Series AC45 racing catamarans. 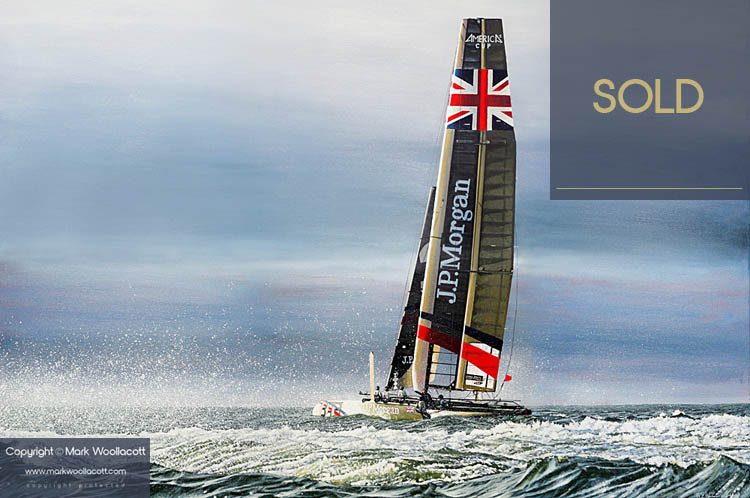 My painting J.P. Morgan Ben Ainslie Racing (BAR) AC45 Catamaran recently sold for £1,790.00 at the spring AAF at Battersea Evolution, London. Prints of this painting are available. A number of my large marine paintings will be represented by professional exhibition curators Red Gallery (at Stand K2) at the Affordable Art Fair at Battersea Park, London, next month. This will be the second time my artwork has been shown at this major London art fair which attracts people from all over the world and can have a footfall of up to 22,000 visitors. Eight of my paintings are being shown this year at the Battersea Evolution venue. Address of venue: Battersea Evolution, Battersea Park, London. SW11 4NJ. Dates: from Thursday 10th to Sunday 13th March. 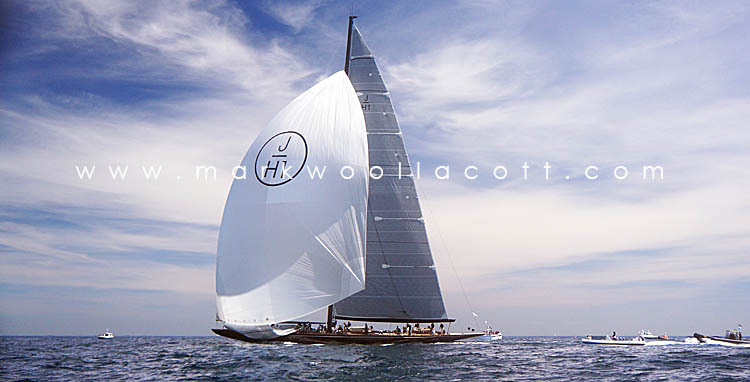 All artworks will be for sale and will range from paintings of classic boats, impressive J-Class yachts to modern state-of-the-art racing catamarans (such as the Ben Ainslie AC45 racing catamaran). 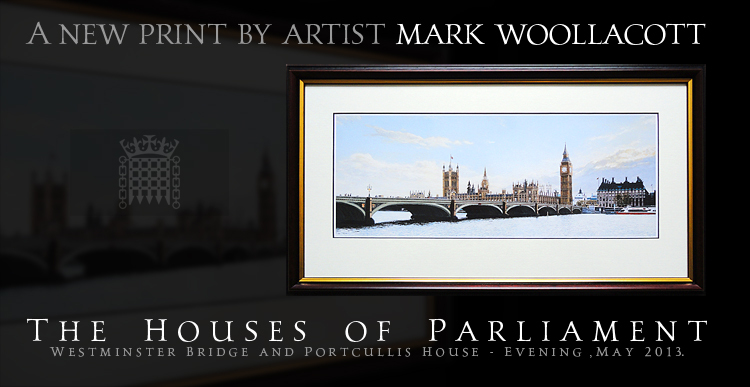 Also on display will be a number of my paintings of London, including a detailed painting of The Houses of Parliament. This new painting, called A View of St. Nicholas’ Chapel, Lantern Hill and Hillsborough, Ilfracombe, shows Lantern Hill and its chapel from the low vantage of Capstone Hill. Medium: Acrylic on canvas board. Dimensions: 16 x 20 inches. Price: £995.00. Click to view larger image. 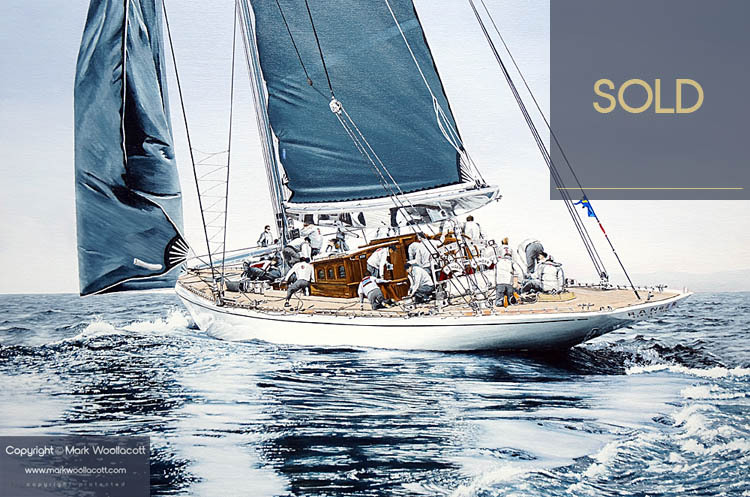 My latest painting J5: Ranger, J Class Yacht is now available as a print. I have just recently returned from Falmouth, Cornwall, where I photographed the impressive J-Class sailing yachts, Velsheda, Lionheart and Ranger, as they raced at Falmouth Bay. I went with Solent Rib Charter on Thursday 25th June to watch the “Js” up close as they raced. Over the next twelve months, I shall be painting a number of originals based on the two races which took place on this day. More info to follow. A print of my painting The Houses of Parliament was kindly purchased by North Devon's Member for Parliament, Peter Heaton-Jones, to go in his new office at the Houses of Parliament, London. Prints of this painting are available online from Fine Art America (see my Prints page for more information). Two of my London originals: The Lady in Red (14 x 36 inches, price £1,350.00) and Parliament and the Lady in Red (16 x 20 inches, price £990.00) sold during the popular Affordable Art Fair, held at Battersea Park, London, between 11th to 16th March. My paintings were represented at the Art Fair by Red Gallery. 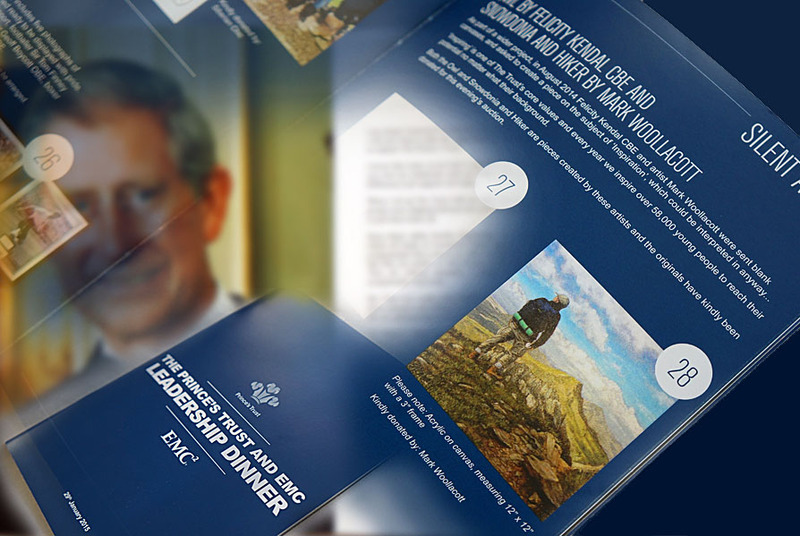 A View From the Watkin Path, Snowdonia (also known as Snowdonia and Hiker) was recently sold for £750.00 during a silent auction held at The Prince’s Trust and EMC Leadership Dinner, the London Hilton, Park Lane, on Thursday 29th January 2015. I was delighted that the sale of one of my paintings (an acrylic, size: 12 x 12 inches) helped to raise some funds for the Trust. This opportunity was possible due to the help and kindness of Nina Lording (manager of Echo Beach Gallery), artist Darren Baker and the Prince's Trust. Four of my London paintings are being exhibited with work by other artists at the Christmas Exhibition to be held at The Gallery at Ice, which begins on 2nd December. The gallery is based in an old Georgian building at No. 8 High Street, Windsor — just a short distance from Windsor Castle. The paintings on exhibit are: The Lady in Red, St. Paul's Cathedral, A View of Westminster Abbey, and Parliament and the Lady in Red. 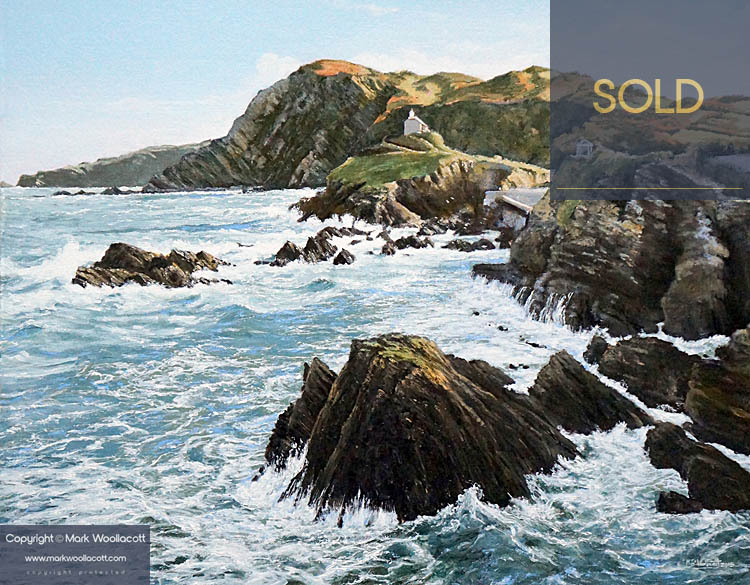 Images of my marine paintings featured on the Classic Boat Magazine website and other publications during my solo marine art exhibition at Echo Beach Gallery, Ilfracombe, August 2014. 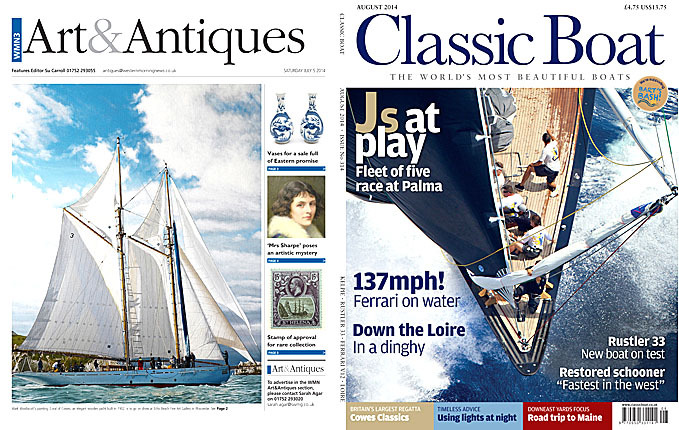 The image above was supplied, with kind permission, by Classic Boat Magazine and WMN.